If you love paper-piecing – or want to even learn it for the first time – this book is for you. 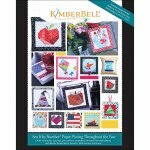 This book contains darling paper-pieced designs for every month of the year! And each of those designs come in 3 sizes! These paper-pieced blocks are perfect for pin cushions, mug rugs, hot pads, shelf pillows, mini quilts, and more. The book also includes an easy, no-fail method for quilting each block, if you’d like! 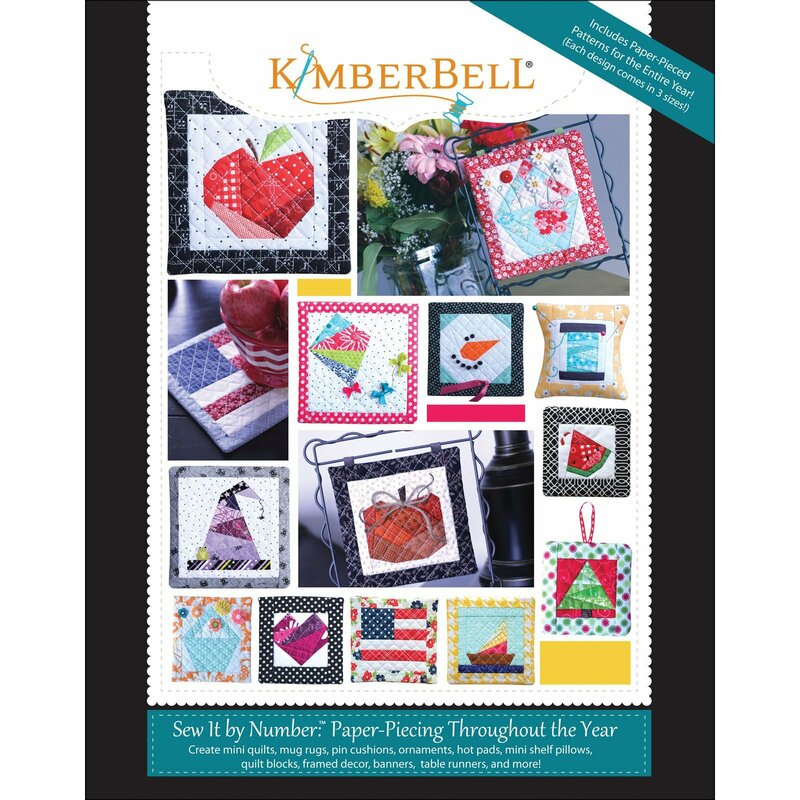 A bonus table runner project is also included – perfect for “swapping out” a new Kimberbell paper-pieced block to coordinate with any time of the year.